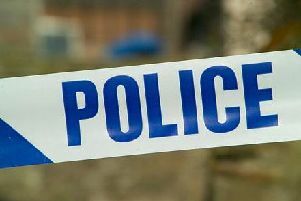 Four teenagers have been released on police bail pending further enquiries following a spate of arson attacks in Maltby. Two of the boys are aged 16, and the others are aged 15 and 17. The first incident occurred on Millicent Square at around 2.45am and involved a camper van, which spread to three properties and a car. Two propane cylinders were also involved and had to be cooled before fire crews came away from the scene just after 4am. The second incident involved a caravan parked on a driveway on Mortimer Road at around 4.30am. Firefighters spent an hour tackling the blaze, which also spread to nearby properties. A third incident involved a lorry which was set alight on Blyth Road. The fire spread to three vehicles. Firefighters used hose reels and compressed air foam (CAFS) to extinguish the blaze. South Yorkshire Fire officers staged a 24-hour strike this week from Tuesday 9th to Wednesday 10th December. The walk-out is due to a long-running row over pension schemes. Contingency crews were still reacting to 999 calls but times were slower than normal. Anyone with information about people starting fires in their area should call Crimestoppers, anonymously, on 0800 555 111.